Long-time followers of the joys of Champagne know all about Grower Champagne. For larger Brands or "Houses" of Champagne their work starts when the grapes have been harvested and arrive at their facilities. For Growers, they have their land, they work it, harvest from it, and then go about the extensive process to make Champagne themselves. They control the process as well as the product. As many of these families have worked the same land for generations, they are able to produce excellent Champagne for much less money than the more corporate minded Houses. Today they represent around 5% of the Champagne that is brought into the United States, though that is not reflected in the diversity on our shelves or the breadth on excellent restaurant's wine lists. 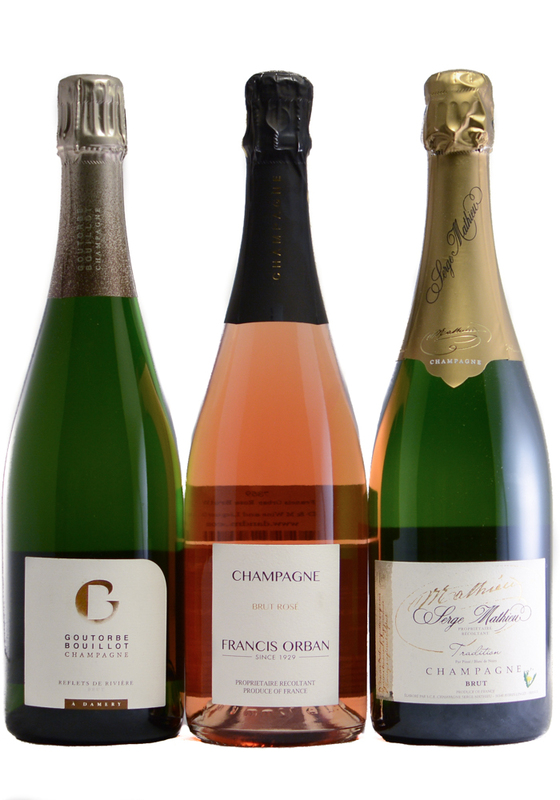 So for you, as spring has sprung, we are highlighting a trio of Grower Champagnes from the North to the South, focused almost entirely on the Red Wine Varieties: Pinot Noir and Pinot Meunier. 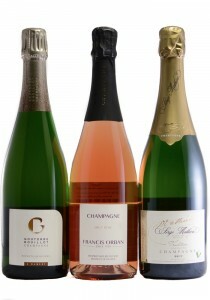 Here are families that have been involved in Champagne for a collective 590 years! Goutorbe-Bouillot Reflets - shows a bright and focused aroma of yellow fleshed stone fruits; just there clotted cream, white river stones and apple. The palate is moderate with a great mix of minerality, apple skin, nectarine, creme fraiche and brioche. Francis Orban Rose - The nose shows soft raspberry, clay, a light nutmeg, and gentle minerality. The palate is moderate in weight with good acidity and a soft raspberry with just there cream and mineral notes.